For some teams, it was a night of heartbreak in the Atlantic 10. The Spiders fell in a close battle to the Old Dominion Monarchs 64-61 while Massachusetts lost a road game to Ole Miss 90-88 after leading by 9 with just over 3 minutes left to play. There were some positive trends across the league, though, as Saint Joseph’s and Rhode Island both won by large margins, bringing both squads to 2-0 on the young season. Fordham got its first win of the year, beating NYIT 101-75, and Saint Louis got a win over Southern Utah. Should the Minutemen have won this game? Probably. They led 88-79 with just over 3 minutes to play and showed no signs of slowing down. But the Rebels started chipping away, and before you knew it, Sebastian Saiz got a game-winning put back shot with 3 seconds left in regulation. Having your opponent finish on an 11-0 run and beat you in the final seconds is frustrating, yes, but in the grand scheme of things, there are a lot of positives to take away from this game if you’re a fan of Massachusetts. DeJon Jarreau came out, and he came out big. The freshman guard went for 25 points, 6 assists, and 8 boards in his first true road game against a pretty solid Power 5 team. Not too shabby, DeJon. Freshman Luwane Pipkins, after recording an incredible 8 steals last Friday, went for 18 points and added 4 more steals on Monday evening. By the looks of it, this guy could seriously be in contention for A-10 defensive player of the year. These two are beginning to develop as huge pieces to this Massachusetts team, and even though they may not have the experience just yet, they’re looking like they have the skill. It’s going to take some time to build some chemistry and really get a feel for the game. UMass couldn’t come up clutch in the final minutes, but with time and experience, that will change. Luwane Pipkins got a steal off the inbounds with 30 seconds to go, but he lost it at the other end. He’s becoming an impact player and a dark horse X-factor for this young UMass team. The Spiders got outrebounded 40-24 against Old Dominion in a 64-61 loss at home. You simply cannot get beat that badly on the boards and expect to win; in fact, it’s a miracle the Spiders even kept it that close. They had the same issue against Virginia Military as they lost the battle of the boards 41-35 but still pulled out the win 72-69. ShawnDre’ Jones had 23 and TJ Cline had 18 against Old Dominion, but the Spiders have some glaring weaknesses early on that they’ll need to address. In addition, they’re having a tough time getting much out of anyone not named Jones or Cline. Richmond will have two games to figure some things out before having to face Maryland in a difficult neutral site game. There were some relatively high expectations heading into the season for this Richmond team, and Old Dominion is not a horrible team by any means, but Richmond has not looked good to start the season. If the Spiders don’t find a way to grab a couple of extra boards and really hold their own down low, it’s going to be a long season. The Rams have looked scary good in their two opening games this season. Sure, their opponents have been sub-par, but the Rams are putting on a show, just like they should be. Specifically, E.C. Matthews has been a beast to start the season. Through 2 games, Matthews has 41 points, 6 assists, and 8 rebounds. He’s also shot 16/21 from the floor to start the season, which is incredible for a guard. Hassan Martin has also been all over the stat line. He put up 15 points, 8 rebounds, and went 9/9 from the line against Marist. Kuran Iverson and Jared Terrell added 14 each while Stanford Robinson and Jarvis Garrett both had 11 points. 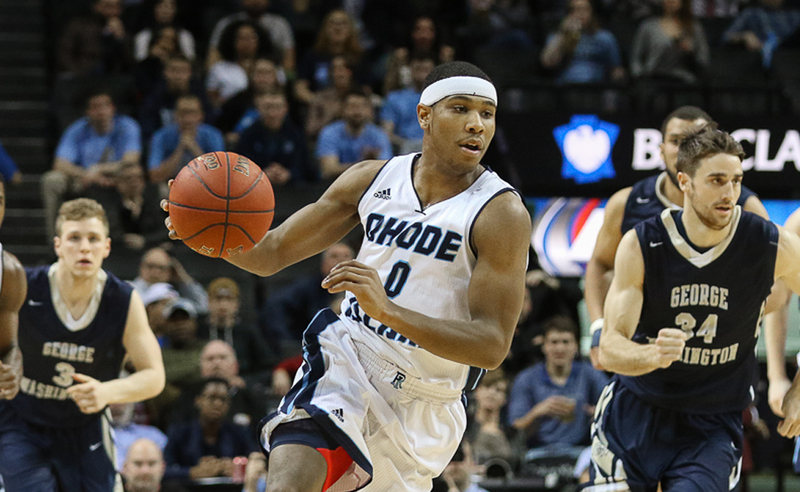 Rhode Island’s 107-65 pounding of Marist isn’t necessarily telling of how good this Rhode Island team is going to be this season, but the Rams are off to a very solid start. They’re really going to be tested at the end of the week when they face Cincinnati, a top 25 team, in the first round of the Hall of Fame Tip-Off Naismith. But Rhode Island seemingly has all of the pieces to the puzzle: impressive guards, a solid frontcourt, and most notably, depth. This team is getting all of its roster experience in the early going, and guys like Nicola Akele and Christion Thompson look like they could be valuable pieces off the bench this year. Just how good can Davidson’s Peyton Aldridge be?